From 2019, the Hong Kong Academy of Ice Hockey organizes ice hockey demonstration for interested schools through the “Active School” programme. We hope that through the programme, more local schools can participate in a wider range of sports activities and allow more teenagers to get a taste of ice hockey. The “Active School” programme was launched by the Hong Kong Elite Athletes Association in 2013. Its target are mainly school students, with an objective of promoting professional sports training and whole-person development, as well as to invigorate the campus with positive energy. In the season of 2018/19, there are 9 primary schools and 7 high schools participating in the League. A group of CUHK undergraduates from Lee Woo Sing College participated in the Youth Leader of Ice Hockey Certificate Course, including on ice experience, classroom sessions and practical experience. On July 11 2018, the Hong Kong Academy of Ice Hockey was invited by the Canada-China and Education Association to do an ice hockey demonstration for students in Guangzhou. In the season of 2017/18, there are 10 primary schools and 7 high schools participating in the League. On July 10 2017, the Hong Kong Academy of Ice Hockey was invited by the Canada-China and Education Association to do an ice hockey demonstration for students from the Guangzhou area. On July 20-24, 2015, the HKAIH organized a summer program at Sky Rink, Dragon Centre. A total of 37 students from seven primary schools participated in the training to enhance their personal skills. They also had chance to play scrimmage against their friends. We hope their effort will pay off and be our future ice hockey stars. HKAIH is currently working with Yan Oi Tong Tin Ka Ping Primary School to incorporate ice hockey training into the standard primary school P.E. lessons. This program aims to promote a training program for ice hockey, in-line hockey and floor hockey to bring local primary students a more diverse P.E. course. P.E. teachers will be trained on ice hockey topics such as safety issues, ice hockey background, equipment knowledge and ice hockey skills and techniques. 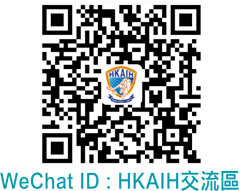 With HKAIH coaches training students together with P.E. teachers, this provides sustainable ice hockey training for the primary school students. This is the fifth year HKAIH cooperate with the Canada-China and Education Association, to do on ice demonstrations for the Guangzhou Jiangnan Middle School at "SkyRink" at Dragon Center. There were a total of 53 students participating in the demonstration. Students had a chance to go on ice to try the sport out. All the students were enthused about the experience. It was a successful and fulfilling experience for the youth of Guangzhou and we hope to carry on arranging similar activities for the youth of Guangzhou in the future. On July 25, 2013, the Hong Kong Academy of Ice Hockey was invited to Guangzhou by the Canada-China Culture and Education Association to do a demo with over 80 students. Coaches Barry Beck, Tan Anqi and Mike Lam attended the event. HKAIH again in cooperation with the Canada-China and Education Association, planned a skating and ice hockey day for students from Guangzhou Jiangnan Middle School and Guangzhou No. 76 school at Mega Ice in Kowloon Bay. Every student had the chance to go on ice during the two days and experience ice skating and ice hockey. The exhibition is jointly presented by the Hong Kong Museum of Education (HKME) at the HKIEd with its four collaborating School Sponsoring Bodies (SSBs): the Catholic Diocese of Hong Kong, the Anglican (Hong Kong) Primary Schools Council Limited, the Hong Kong Council of the Church of Christ in China and the Tung Wah Group of Hospitals. On the 19th of July 2012, the Hong Kong Academy of Ice Hockey was invited by the Canada-China and Education Association, to do an ice hockey demonstration for middle school students from the Guangzhou area. The Hong Kong Academy of Ice Hockey and the Hong Kong Amateur Hockey Club have worked hard this past year to run and organize the Hong Kong School Hockey League but it couldn't have been done without the sponsorship from Principal Trust Company (Asia) Limited. With their sponsorship, over one hundred students benefited and the game of hockey has continued to thrive. The workshop was organized by the Education Bureau and The Hong Kong Institute of Education. For a second year HKAIH was invited to run a 4-day Ice Hockey Workshop on 26th – 29th July, for over 10 local primary and secondary school PE teachers. The workshop consisted of on ice and dry land sessions. Participants also had a chance to experience skating on Synthetic Ice which was set up in a primary school assembly hall in Tung Chung. Basic skating, sport specific training and other aspects of ice hockey were taught to the teachers. Rules of the game and understanding of positioning was also a part of the training. We hope in future with this kind of workshop, we can continue to promote the sport to teachers and other instructors alike. We want to thank the Education Bureau and The Hong Kong Institute of Education for supporting us in advancing the sport forward in Hong Kong. The workshop was organized by the Education Bureau and The Hong Kong Institute of Education. HKAIH was invited to run a 4-day Ice Hockey Workshop for 25 local primary and secondary school PE teachers. The workshop consisted of three on ice and three dry land sessions. Basic skating, sport specific training and other aspects of ice hockey were taught to the teachers. Rules of the game and understanding of positioning was also a part of the training. We hope in future with this kind of workshop, we can continue to promote the sport to teachers and other instructors alike. We want to thank the Education Bureau and The Hong Kong Institute of Education for supporting us in advancing the sport forward in Hong Kong. The Hong Kong Academy of Ice Hockey was honored on March 15th, 2009 by Hong Kong Sheng Hui with an award for helping schools in the community. The award was given for the help the HKAIH gave to the SKH Understanding Adolescence Program (UAP). Furthermore, the academy has been continuously working with the Sheng Kung Hui on projects that help students learn more about respect, team work and build self-esteem. The HKAIH would like to thank all the principals, teachers, social workers and volunteers that have made working with SKH a joy. In future we will continue to work with the SKH group to promote ice hockey and to provide a good learning environment for students of all ages. The Understanding Adolescent Project (UAP) is a comprehensive support program for personal growth by the Education and Manpower Bureau (EMB). It aims at enhancing students’ resilience in coping with the challenges they have to face as they grow up. HKAIH was happy to work with the Hong Kong Sheng Kung Hui Primary School Counselling Services for this project. The children who took part in this project had a chance to try ice hockey first hand with our General Manager and Coach, Barry Beck. The process involved bringing the theory of ice hockey onto the ice and putting it into practice. "Run with Your Heart" is a charity event initiated in 1998 by the Hong Kong Elite Athletes Association. The event does not only aim to raise fund but also aim at promoting sport for health by using the format of a relay run. As one of the co-organizers, our academy takes the chance to educate our ice hockey students that they shall not only excel in the ice rink but also can contribute to the society as a group. On October 20-21, HKAIH and HKAHC held an ice hockey exhibition booth at Innocentre, Kowloon Tong for SMART Fun Day 2018. Mr. Sam Wong, Executive Director of HKAHC was at the main stage to share about Positive Coaching in Hong Kong ice hockey. Our little ambassadors also visited the booth and helped promote ice hockey on the other day! Click here to check out more about our booth! During HKAHC Invitational Amateur Ice Hockey Tournament 2018, 40 kids from J Life Foundation received introductory session provided by HKAIH coaches and had a chance to watch live games. HKAIH has been granted funding from the Sir David Trench Fund for Recreation (Main Fund) for 2017-18 to support its purchase of sports / recreational equipment under Non-Capital Works Projects. HKAIH has the privilege to support Yan Oi Tong Mentorship Scheme 2017 by offering working experience for the high school students. On October 14-15, HKAIH and HKAHC held an ice hockey exhibition booth at Innocentre, Kowloon Tong for 2017 SMART Fun Day. People had fun during game session and won souvenirs! SMART (Sports Medicine And Rehabilitation Technology) has been a popular event among all walks of lives. It is a great platform for the general public, medical professionals and sports lovers to connect and share on topics and hot issue in sports medicine. On September 10, HKAIH and HKAHC arranged a community session for a group of underprivileged students from Sham Shui Po, led by J Life Foundation. The children, aged from 6 to 13 years old, took the ice at Mega Ice Kowloon Bay with full set of ice hockey equipment for their very first time. Apart from HKAIH coaches, Teemu Riikonen who is from Finland and officiated many IIHF games, also participated in the session. HKAIH has the privilege to support FAMILY Project 2017 by sponsoring ice hockey trial sessions and help promote the 3Hs – Health, Happiness and Harmony- across generations. January 18, 2014, HKAIH first time cooperated with Shenyang Neo Ice Hockey team for ice hockey’s skills and cultural exchange. On that day, all the players do their best for the game, and hope can help their team to score. After the game, players from the Neo Ice Hockey team trained with us during the regular training, and experience the coaching style in Hong Kong. On 18 December, 2011, HKAIH was invited to hold a one-hour ice hockey activity on the outdoor rink. We believe this was a great opportunity to show people in Hong Kong – a diversified city, a different kind of sport on ice. 2011 summer, HKAIH is taking another great leap in the development of ice hockey in Hong Kong by introducing the first synthetic ice rink, which is established at Island District HKFEW Wong Cho Bau School; offering real-ice simulation and experience. The [2011 Islands District Youth Summer Program – Synthetic Ice Project] organized by HKAIH, co-organized by the Island District Office and the Island District Council, the Hong Kong Jockey Club Charities Trust's Youth Programme Committee Fund is also a sponsor of the project, which provide young children and teenagers the opportunity to learn the basic techniques of ice hockey and team-play for free, in a safe, and sound environment. It was a unique and unforgettable summer experience for Island District teenagers. On 24th July 2011, HKAIH has tailor-made a hockey clinic for the title sponsor of the Hong Kong School Ice Hockey League, the Principal Asset Management Company (Asia) Limited. The event was held in Mega Ice, MegaBox. On that night, Principal has invited their customers in a total of 38, the parents bring along with their children to join the ice hockey clinic. Organized by the Hong Kong Youth Exchange Promotion United Association, HKAIH General Manager (Coach) Barry Beck was invited as a guest of the youth exchange program “Dream Action”. The event took place in Wan Chi IVE and the Wu Kai Sha Youth Village on May 2nd and 3rd, 2011, with 40 students from Hong Kong, mainland China and Taiwan. During the two day event, Barry shared his experiences on how he developed his career from a beginner to a professional and world-known ice hockey player, and the changes and mission when he moved on in his career from a professional player to a coach, from Canada to Hong Kong. Barry also shared his mission and plan for the coming future. The success of Barry is a good example and can help encourage youth to keep on pursuing their dreams and lead youths to their own success in life. Community Chest "Walk for Millions"
On January 9th, 2011, the HKAIH formed a team of students and their parents to join the Community Chest "Walk for Millions". The walk is aimed at Raising Funds for child services. The entire team, which included several students and many parents, finished the walk in good time. The Hong Kong Academy of Ice Hockey was invited by the Canadian Chamber of Commerce to attend a cocktail reception for the Prime Minister of Canada, Stephen Harper. The Prime Minister, being an avid hockey fan, was presented with HKAIH jerseys for him, his son and daughter. It was a successful event in which Founder and Chairman Thomas Wu and Head Coach and General Manager Barry Beck had a chance to meet with the Prime Minister and other members of the Canadian Chamber of Commerce. Working in conjunction with the Wong Tai Sin District Office, the Hong Kong Academy of Ice Hockey taught students from the Lok Sin Tong Yu Kan Hing Secondary School for the weeks from November 18, 2009 to December 16, 2009. On Nov 18, Wong Tai Sin district councilor, Matthew Wong, accompanied by Wong Tai Sin District Office Senior Liaison Officer Mr. Ting Tin Sang paid a special visit to the students to see for himself the training from HKAIH of youth from the district and also gave support and encouragement to the youngsters. The students from the school were given a chance to renew their skills as this is the second time they have had lessons through the academy. Sports Federation & Olympic Committee of Hong Kong, China the Trial Run of “Promotion of Hong Kong Athletes"
HKAIH was honored to take part in the Trial Run of “Promotion of Hong Kong Athletes’ Readiness in participating in the 5th East Asian Games” on May 27. There were a total of 6 sports associations/schools that participated (including Bowling, Rowing, Windsurfing, Fencing and Ice Hockey). The program was divided into two main parts: the Sports Talks and the Sports Demonstration & Participation. The Hong Kong Society for the Protection of Children (HKSPC) brought out 12 students from various nurseries to try the sport of ice hockey for three lessons on Sunday mornings. The Friends of Scouting Service Centre in Kai Yip Estate has been working closely with the Hong Kong Academy of Ice to promote ice hockey to under privileged children from their centre. The children have been learning on ice skating skills and also taking up stick handling and shooting while on the ice with Coach Barry Beck. Hong Kong Society for the Protection of Children "Kids Power"
On November 29 and 30, 2008, The Hong Kong Society for the Protection of Children (HKSPC) invited the Hong Kong Academy of Ice Hockey (HKAIH) to their centre to set up a demonstration booth for kids. In 2008, the Hong Kong Academy of Ice Hockey had the chance to host The Friends of Scouting Jockey Club Kai Yip Service Centre for Children & Youth for an on ice clinic with their staff. Coach barry Beck was on hand to teach basic skills such as balancing, how to fall, how to get up and how to hold the stick. As this was the first time the staff from the centre ever tried ice hockey, these lessons were helpful for when they played a short game. The HKAIH had the opportunity to work with the Wan Chai Junior Police Call to do a demonstration for their club members. Coach Barry Beck was on hand to spread knowledge of the sport and his experiences as a hockey player to all the members present. Along with showing the equipment, they were also shown a video about ice hockey and were invited to come watch a game taking place on September 20, 2008 for the 2008 Citi-HKAHC International Amateur Ice Hockey Tournament. Through watching the game, the members would be able to gain more knowledge of Ice Hockey. In 2008, the HKAIH along with corporate sponsor R66, worked closely together with the Hong Kong Society for the Protection of Children (HKSPC) to invite children to the R66 Revolving Restaurant. The children were given a chance to interview one of the chefs and afterwards were also able to taste the delicacies of the restaurant. This joint venture between the three bodies encompassed a larger community event which also included having children come out to the ice rink to try ice hockey for the first time. On August 26th, 2008, the HKAIH invited children from the HKSPC to try the sport. Coach Barry Beck was present along with other helpers and volunteers who helped the beginners on ice. In 2008, the Community Chest of Hong Kong, TVB and the Hong Kong Academy of Ice Hockey (HKAIH) jointly produced a segment of the annual "Community for the Chest" TV Show for this year. The show featured a friendly ice hockey game and on ice skill competitions including shooting pucks over obstacles, tipping pucks into the net and accuracy shooting. Overall, the show was a big success and raised $380,000 for The Community Chest. The Hong Kong Academy of Ice Hockey had a privilege of hosting an on ice clinic with the Croatia National Hockey Team. The Hong Kong Academy of Ice Hockey had the pleasure to work with over 50 kids over the summer holidays to help promote the sport to schools from different areas of Hong Kong. Coordinating with the Hong Kong Society for the Protection of Children, The HKAIH was able to give kids a chance to try a sport that they normally would not be able to. During the summer holidays, the Hong Kong Academy of Ice Hockey was happy to coordinate with the St. James Settlement Services group to bring out children between ages 6 and 15 to try the sport of ice hockey during an open day. In March 2019, HKAIH was invited to participate in the filming of "Ice Hockey Hero" and cultural exchange activities with the ice hockey youth team from China. It is a reality show launched by Zhejiang TV and the Winter Sports Administrative Center of the General Administration of Sport of China. RTHK program "新紫荊廣場" invited our coach to introduce ice hockey equipment and game rules before the kick off of 2017-18 Hong Kong School Ice Hockey League Finals! Featuring six high school and primary school team players' interview. TVB program "Sidewalk Scientist" featuring ice hockey was aired on Oct 1, 2017. Let's discover the interesting hockey facts with our coaches and players! The “Honour the Game” event is organized on last Sunday at Mega Ice. It is to promote respect within the hockey community, not only towards the rules of the game, but also the game officials, staff, opponents, and one self. This is part of our culture and to take Hong Kong ice hockey to the next level. In the 1980s, Beck, 59, was known throughout the N.H.L. as an enforcer with a crushing slap shot and a penchant for scrappy fights and bone-crushing body checks. But here in a Hong Kong shopping mall, Beck, a former Rangers captain, was goading a 10-year-old about a quarter of his size — and the boy did not flinch. They both laughed. Recently, the HKAIH was happy to have an interview with Lesports. A former Chinese Women Ice Hockey Team player and current HKAIH Senior Coach & Program Manager, Anqi Tan, was interviewed by RTHK Putonghua. HKAIH was happy to have TVB reported about the rules of ice hockey game, equipment and technique such as puck handling. Our coach, Tan Anqi has demonstrated some fitness exercise and let the hosts have mini game with our students. The Jade channel on TVB will have a 13-episode show called <Sports Like No Other> introducing non-mainstream sports in Hong Kong. The sport of ice hockey will be featured in the first episode. HKAIH was invited by Now TV to showcase the basic ice hockey knowledge and introduce the Hong Kong School Ice Hockey League. During two sessions of Atom regular training and HKSIHL practice, the TV crew took some shots of the lessons and also interviewed with two high school students showed the fun and enthusiasm of ice hockey. Coach Barry consulted on ice with the emcee and taught them some basic skills of playing ice hockey. HKAIH was invited by Cable TV to showcase the basic ice hockey knowledge through the sports program《體育 撐！撐！撐！》on 14th of October. During two regular training sessions of Novice and Atom on Saturday morning, the TV crew took some shots of the lessons and also interviewed with Coach Barry, some of the little players and parents, showed the fun and enthusiasm of ice hockey. The Hong Kong Academy of ice hockey in cooperation with TVB, showcased basic ice hockey knowledge through the youth TV program "Youth Nation". On May 7th, 2009, Coach and General Manager of the Hong Kong Academy of Ice Hockey, Barry Beck, was on hand to give an interview to TVB pearl reporter Jenny Lam about ice hockey in Hong Kong. The Hong Kong Academy of Ice Hockey was invited to help the TVB 8 Channel show “Trend Hunters” on October 3, 2008. Joe Chan, an experienced Disc Jockey from Taiwan and Sherry Chan, 2007 Miss World Chinese 2nd runner up, hosted the show at Elements’, The Rink. Coach Barry Beck was also on hand and gave some tips and pointers to the hosts and they both learned very quickly. The HKAIH was happy to have TVB come out to a training session on Monday night with Coach Barry Beck. TVB Pearl Report had a chance to meet with Coach and Manager Barry Beck and interview him for their show. In October 2007, the crew from TVB Pearl, Dolce Vita Show came to the ice rink to interview Coach Barry Beck. HKAIH and TVB jointly organized a birthday party on ice for five kids who were born in the month of September. With the help of two famous artistes from the station’s kid program, Coach Barry Beck showed the kids that ice hockey is a safe and fast sport that can be played by all.